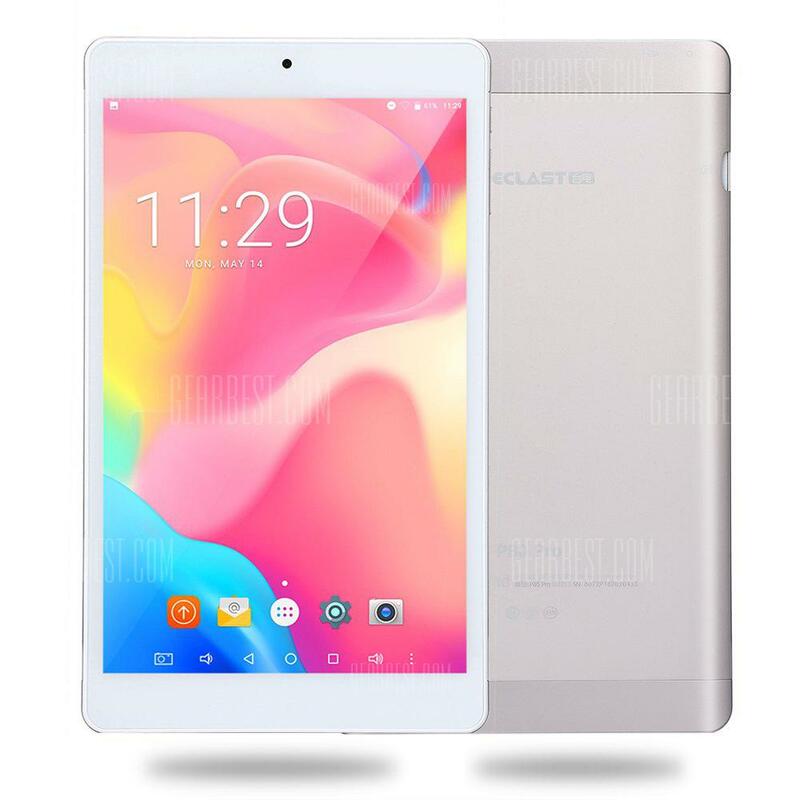 It’s no wonder that Teclast tablets are bestsellers on GearBest and Aliexpress, combining good performance and modern design, with proven solutions copied from premium brands devices at a low price. Will the new P80 Pro meet the expectations? Read our review and see for yourself. The eight-inch touchscreen is undoubtedly the strongest selling point of P80 Pro. It has been made in OGS technology, which provides excellent contrast, good color reproduction and reduced energy consumption compared to other displays, as well as high sensitivity and responsiveness to touch – which is especially useful in games. It can display in 1920 x 1200 px at 16:10 aspect ratio, which guarantees cinematic experience. 5300 mAh battery allows up to 9 hours of video display, which – as the manufacturer calculates – allows you to watch 5 movies or 13 TV series episodes on a single charge. That’s an exceptional results! Thanks to a broadband WiFi connection, you can conveniently stream videos from VOD services, including Netflix. Fast 2.4 / 5Ghz WiFi enables you to comfortably watch videos online, without buffering and frame skipping at a maximum WUXGA resolution. Teclast P80 Pro is a budget gear, so you shouldn’t expect stellar performance in benchmark tests, but certainly casual users won’t complain about speed, because the combination of MTK8163 quad-core processor and 2 GB RAM ensures comfortable website browsing and smooth video playback. Mali-T720 also isn’t fastest graphics chip you can find in tablets, but at least its proven and does not consume much power. 32 GB is a good standard when it comes to the internal memory capacity, which can be expanded using MicroSD card. Memory card slot is conveniently available on the side of the case, so you don’t have to remove the back cover when you want to replace memory card. Cameras are typical for budget tablets: 0.3MP front camera and 2.0MP rear camera allow for video calls or taking decent photos, at least in a proper lighting. There is only one color to choose from, but it’s certainly unusual and cool looking – champagne gold. 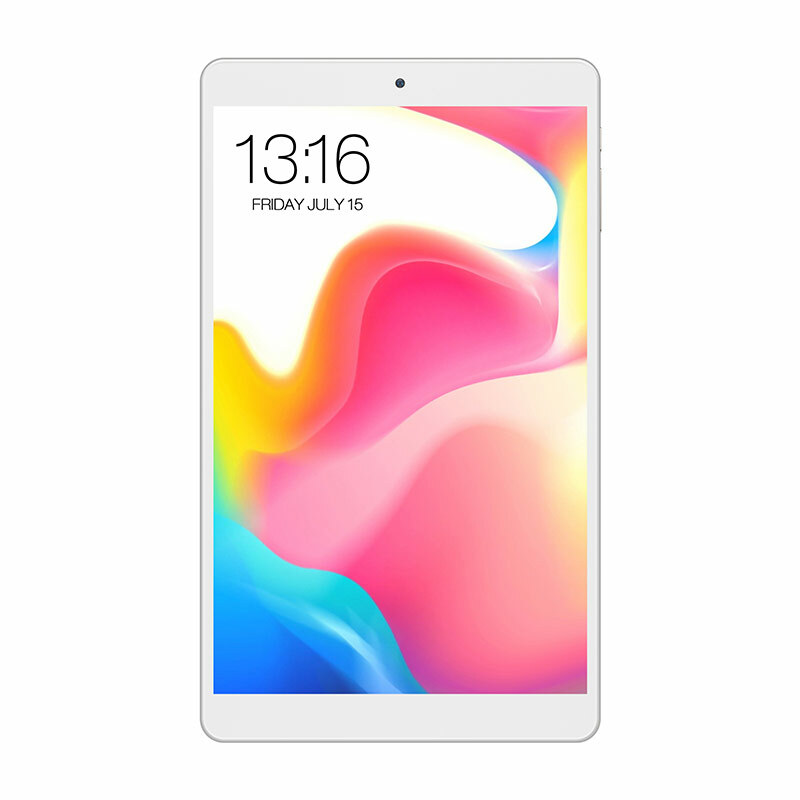 Side bezels are only 5.5 mm thin here and they are definitely thinnest among budget tablets you can find, especially when you compare it to Teclast’s competitor – Onda. It’s not a very large tablet, so eight-inch screen provides a good compromise between portability and comfort of web browsing or watching videos. Precise GPS combined with excellent display will allow you to use the P80 Pro as a car navigation device. There is no fingerprint reader or face recognition features here – but in case of tablet it’s not a big deal anyway. Cheap tablet doesn’t have to compromise on quality and this is perfectly proven by Teclast in its latest P80 Pro. Although it lacks computing power in comparison to more expensive models such as the Teclast X3 Plus, that has Apollo Lake processor, it’s perfect for casual, everyday use, especially if you intend to use it mostly as a multimedia player. This gear is definitely worth buying if you are looking for inexpensive, handy tablet that you can take anywhere with you.